I'm an ambitious and stubborn 31 year old writer, working, hospitality graduate, engaged to a wonderful man, mum to three amazing little girls and one baby boy. I'm a twice cancer survivor (Acute Lymphoblastic Leukaemia and Papillary Thyroid Carcinoma) and survivor of the very deadly HELLP Syndrome, all of which are things I try to raise awareness of on this blog. In addition to spending time with my wonderful family, I have a love of travel, poetry, dancing, music, writing, social media, the Somerset Carnivals and blogging. 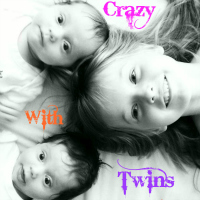 I aim to use this blog to tell the funny, beautiful and unsightly truth of being crazy with twins - it began with my twin pregnancy and will continue through raising twins and a singleton, as well as my current pregnancy. There are also posts on this blog about being a stepmum and many posts written whilst my ex husband and I were still together. I am brutally honest, I wear my heart on my sleeve and I bare all my scars and my heartaches on this blog. It is a journey of tears, sarcasm, rants and giggles! Bunny, 9 years old. Stubborn, creative and very kind. She has a somewhat unique sense of style and loves "designing" her own outfits. They are usually disastrous, but very cute. Likely to have a career in marketing, as she regularly quotes adverts, describes how great products are and does accidental sales pitches in shops! 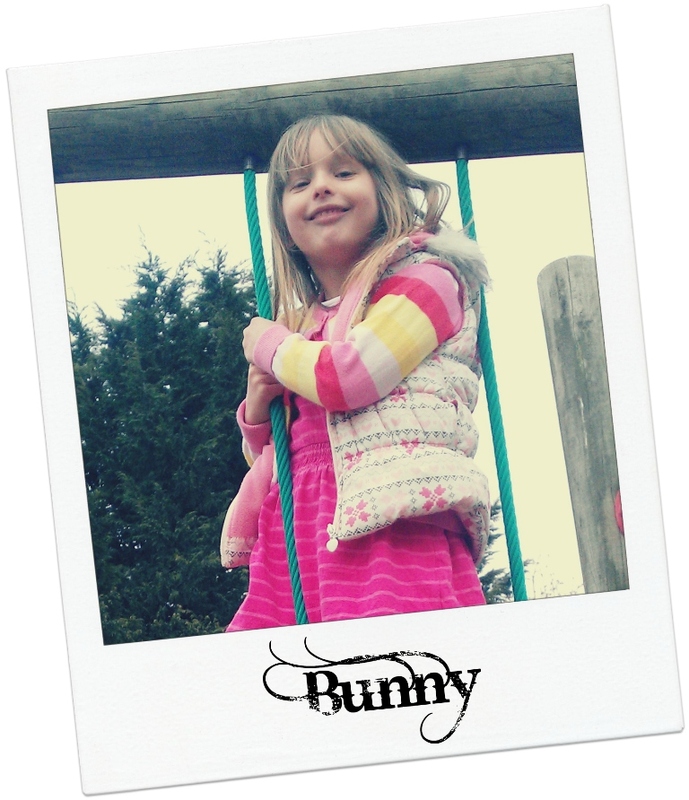 Bunny loves all things pink, purple and yellow, glittery, sparkly or shiny. Dresses instead of trousers ALWAYS and has quite a temper on her. She was angelic until she started Primary school, now she is 9 going on 13 in the attitude stakes. Fluffy, the first of born of our twins, by 35 minutes (YES, it was a natural birth). She's got the longest hair and the most curls. The leftie, the thumb-sucker and the one who hears you say no, but does it anyway! She has an ultra cheeky grin and a full set of teeth (by time she was 18months). Fluffy loves watching tele, looking at books, destroying books, chatting, laughing and doing anything which involves either climbing or sitting down. The first to speak, the last to walk, but she is a very fast learner and spends little time practising. Tiny, the littlest twin, was born weighing just 4lbs 1oz. She has the softest hair and the cheekiest grin, but mostly does as she's told. 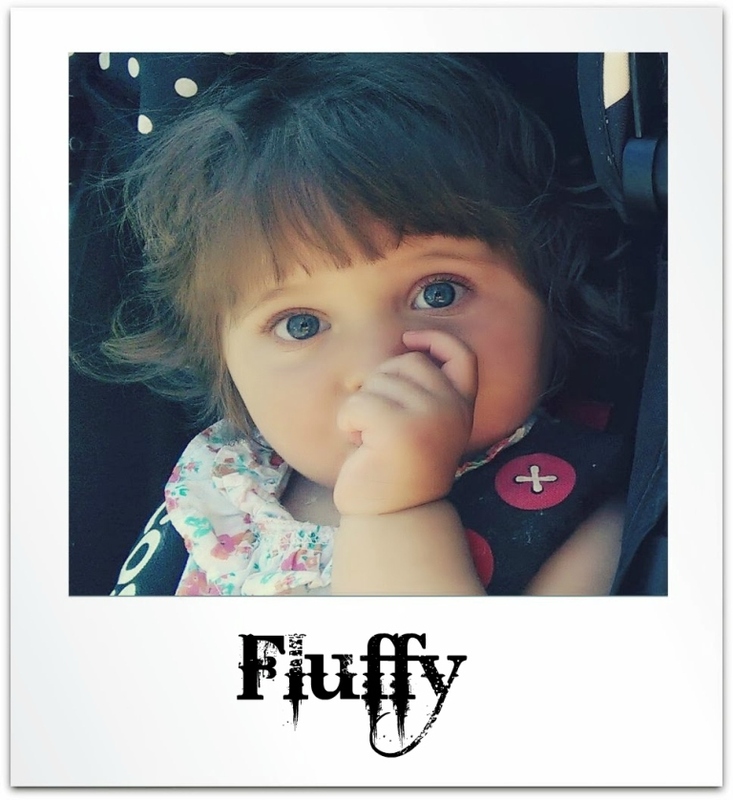 She was a mummy's girl at first, because Daddy was too scared to hold her, because she was just so tiny, but now is most definitely a Daddy's girl (and has him wrapped around her little finger). 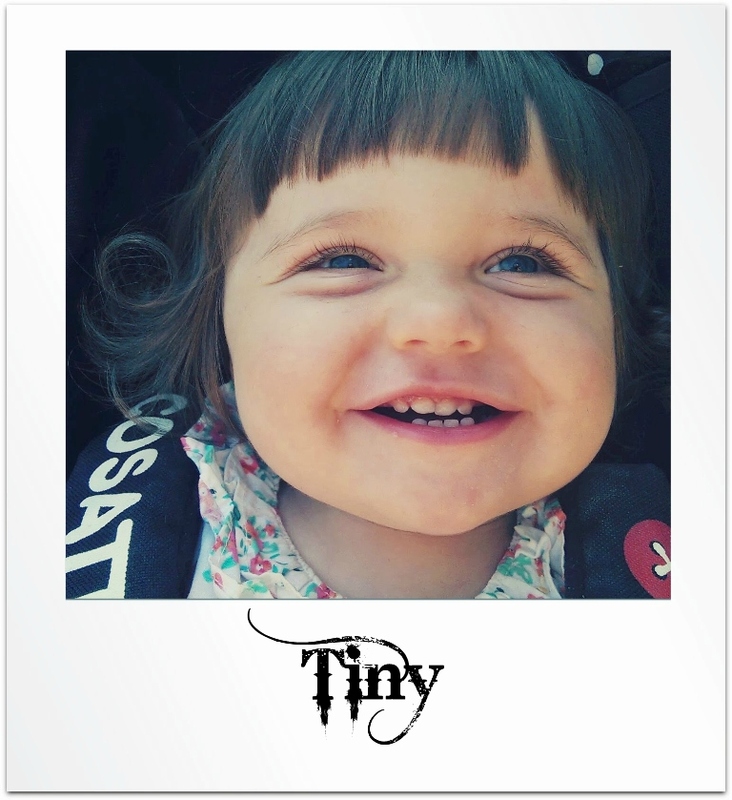 Tiny has an obsession with hair and shoes and is often found with a hairbrush in her hand, wearing someone else's shoes! The first to crawl and the first to walk, but she takes a long time to perfect things. My beautiful cheeky little boy, currently 10 months old (will be 1 year old in July 2017). Already standing and trying to walk, absolutely loves his food. His favourite things are his Jumperoo, swings at the park and breastmilk! My incredible fiancé who I met on Tinder in April 2016 and who got down on one knee exactly a year later. My Ex husband and father to my three daughters. As I don’t have much time with work and the girls (no excuse) I don’t tend to take as much time reading other peoples blogs as I should/would like to. Therefore, I have only just found out about the severity of your cancer. There is not a lot I can say to make you feel any better about your situation, but I want you to know although I may not be in constant contact I will be thinking of you and you little ones inn the coming months! I have finally subscribed to your blog because, I’m slowly getting round to adding the people who have been supportive of my blog since I started. I’m hoping to keep in better touch with more people in September when the girls go to school and I WILL have more time to support others. Sorry it’s taken me this long to realise your ill and I promise I will take the time to read your posts on a regular basis and be as supportive as I can be from a laptop. Sending you love, support and positive thoughts. I would like to take an interview with you and feature it On our website as part of Interview Series. It will be very helpful for our readers. Could you please spend your valuable time to answer few questions. Looking forward to have a great discussion with you. Sorry but do you live in N Somerset Area? I’m asking as I’m Group leader to Weston Twins & More Group and currently do not have you as one of our lovely members. Therefore I wondered if you would like to join our wonderful TAMBA registered support & friendship circles? LOVE your blog!! I read your entire blog in 3 days. You are a true inspiration and amazing woman. Thank you! 🙂 And wow… Every post? I’m honoured that someone would spend that much time reading me. You’ve made my week. Thanks. 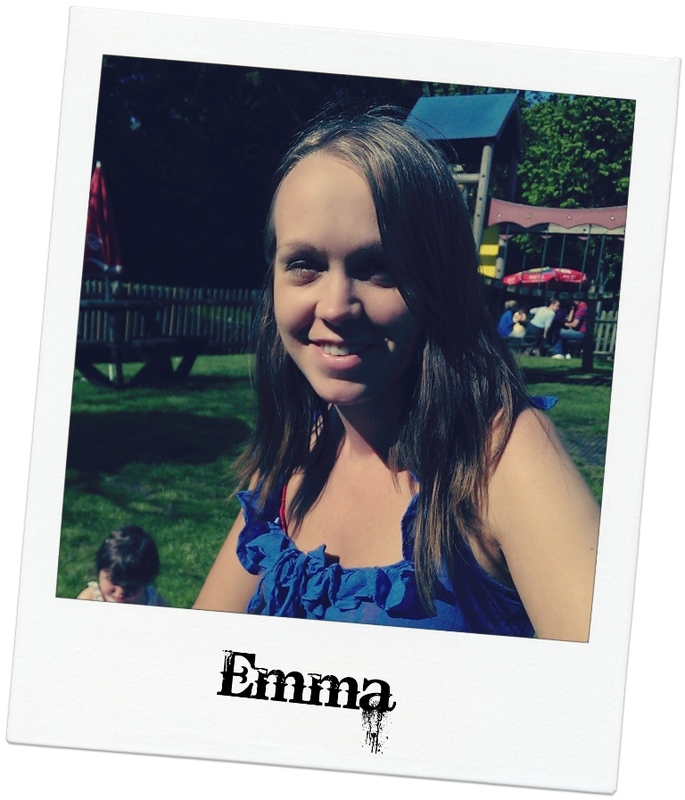 Hey..very nice n well written blog.U r great Emma as u r handling four kids at same time. Why thank you! I do try my best to keep a youthful glow. I look after my skin and hair, get plenty of fresh air and exercise and I eat good balanced meals. I’m just very lucky I guess! I just want to say that Josh sounds like a terrible person and I’m very glad you didn’t abort your baby. If he “COULDN’T and WOULDN’T” be a father, the onus was on him to prevent it, as there are certainly ways of doing. Hi Emma, I left a comment on your maternity photos blogpost back in December of 2014 and have been worried that perhaps I embarrassed and/or offended you by what I said. Well,I returned for another look at one of the most AWESOMELY BEAUTIFUL baby bellies I’ve ever seen and my comment is still there. I just want to say THANK YOU for accepting it and leaving it on your blog! That really did make me feel good!!!!!!!!!! I would like to personally congratulate you as your blog Crazy With Twins has been selected by our panelist as one of the Top 15 Thyroid Cancer Blogs on the web. I personally give you a high-five and want to thank you for your contribution to this world. This is the most comprehensive list of Top 15 Thyroid Cancer Blogs on the internet and I’m honored to have you as part of this! We’d be grateful if you can help us spread the word by briefly mentioning about the Top 15 Thyroid Cancer Blogs list in any of your upcoming post.